Your vehicle's brakes are the only thing between you and an avoidable, life-altering traffic accident. Brakes create friction that slows the rotation of your wheels, teaming up with tire tread traction to stop your vehicle. That's why the quality of your vehicle brake service in Burke, VA is so critical. Drum brakes and disk brakes are the two types of wheel-braking mechanisms. Older vehicles may only have drum brakes. They are also at the rear wheels of many vehicles with front disk brakes. While other vehicles have four disc brakes, and some are fitted with anti-lock brakes, deploying sensors that improve vehicle control. The brakes from all four wheels are controlled by a hydraulic system. When the driver presses the brake pedal, pistons are pushed into the fluid-filled master cylinder chambers. The resulting pressure is transmitted to hydraulic cylinders in the brakes. The pressure forces pistons in the brake cylinders to push friction material, or brake lining, into the rotating drum or disk to apply the stopping force of the brakes. A visual inspection with wheels off to measure thickness of the brake rotor. Every rotor has a thickness specification range for safe operation. When rotors measure outside this range, they must be replaced. Measuring brake material thickness to determine if it is above the minimum. Brake pads provide necessary friction, and help dissipate resulting heat. If brake pads are too thin, they lose the ability to perform this critical function. Inspecting calipers for damage. If brake calipers don't perform as designed, they can't apply the force to the brake pads necessary to stop the vehicle. A brake service in Burke, VA will include cleaning, inspecting, and lubricating brake hardware and components, plus machining brake drums and rotors. These procedures are not routinely performed with most discount brake services, though they are most critical for safe braking. Brake service in Burke, VA should include installation of new brake materials that meet or exceed the original factory equipment specifications. Quality is a big issue in the automotive parts industry. Always ensure your brake service in Burke, VA is performed using legitimate, manufacturer and safety-inspected quality parts. Parts quality is a vital aspect of brake service. If inferior components are substituted, the brakes will not operate to industry requirements. Stopping distance will deteriorate and lengthen, and it could be the difference between no road incident and a serious accident. The value of your brake service should be based on more than just cost. Have a brake inspection done in any case, and get an estimate for brake service. 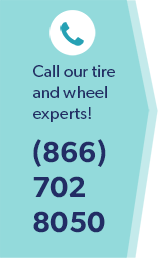 And with critical auto repairs like brake service in Burke, VA, it is smart to stick with an auto service you know and trust, such as Wiygul Automotive Clinic.